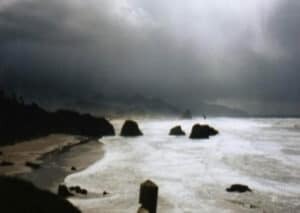 You have read about many haunted location lists earlier but what makes this list different is—this is a verified haunted locations list, which has been enlisted with evidence of the existence of metaphysical energy at locations making them haunted. Continue reading this list and you will know a lot about the existence of dark energies. Our minds are the basic source of all energy that is the fundamental energy, which can exist throughout the universe. This mind energy is absorbed by the living things as a life force. According to Newton’s law we know, energy can neither be created nor destroyed; rather, it can be transformed from one form to another. Similarly, our spirit itself is a form of mind energy. The energy found in out nervous system is known as metaphysical energy. The metaphysical is a nervous force energy which acts in a similar way as to electric energy. I have arranged the list according to the fame, evidence, interviews and actual verification of the locations. Bhangarh Fort comes first in our list because it is recorded to be one of the most haunted locations in Asia. Besides, it is banned to visit the location during the dark, which is a law passed by the government, which makes it more horrifying. Surrounded by mountains the Bhangarh Fort is located at the Sariska Tiger Reserve border in the Alwar district of Rajasthan. The Bhangarh Fort was built in the 17th-century fort. 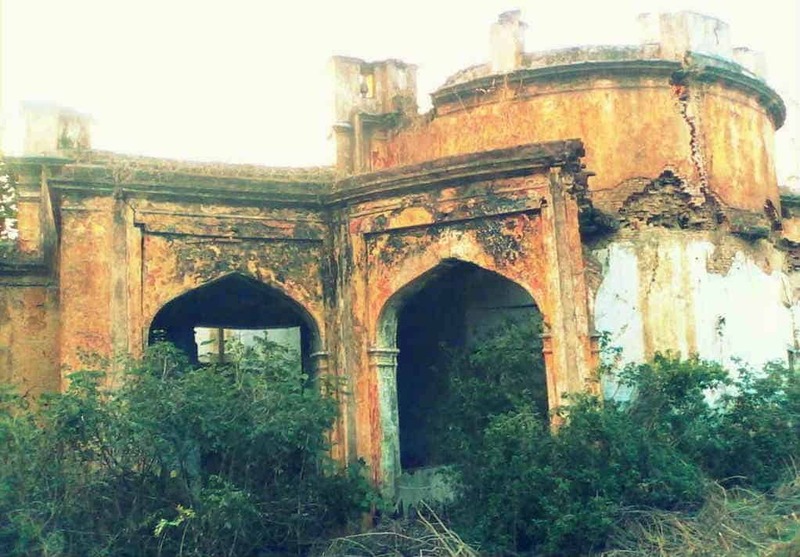 People around the globe know about this fort because of its paranormal incidents. The gates of the fort are closes exactly at 5:00 pm due to the orders of (ASI) Archaeological Survey of India. ASI has prohibited the locals and tourists from entering after the dusk. Archaeological Survey of India would not make such a decision on the basis of superstitious, right? and discovered right after the dusk, the whole environment of the location changes, the place gets warmer. It feels like they are watched by someone constantly. The forces felt are very much strong which can even work against the gravity at times. It is said that this unexplained force comes to action when there is no presence of the sunlight. It is more like a dark energy, which is dragging your thoughtful subconscious. There are two legends being recited over years claiming them to be the reasons behind the very mysterious location. Legend 1- Bhangarh fort was constructed during the reign of King Madho Singh. Madho Singh had to take permission from the powerful ascetic named Bala Nath who lived there to built the fort. Bala Nath allowed him to built the fort under a condition, which said after the fort is built the shadow of the fort should not touch his premises. But the fort was constructed vertically causing the shadow to touch Nath’s premises. Thereafter Bala Nath cursed the place and eventually the fort doomed in a short span of time. Legend 2- Princess Ratnavati was the princess of Bhangarh, whose beauty was praised among the people. When the princess had turned 18, Singhia, a black magician (Satanist), was mesmerized by her beauty and decided to entice the princess with his black magic. He prepared and oil for the princess in which he added a love portion to spellbound the princess, and made it available to her maid. Nevertheless, princess recognized the trick and poured the oil on to the ground. The oil took the form of a rock and crushed the magician. During his last breath the magician cursed the town to be destroyed and no more re-births. The curse came into action during the war between Bhangarh and Ajabgarh, where the princess was also murdered. The GP Block comes second on our list due to its availability of infamous stories and number of interviews taken. The GP Block is situated near a well-known school at Meerut’s Cantonment area, now one has been living there from the 1930s. It is a four storied building and no one has any idea about the residents or the owner of the building. The haunted incidents that are accounted are- six been are seen sitting on the terrace or sitting at the door, drinking beer and chilling. Women in red dresses are often seen coming out of the house. These were all rumors until six caretakers were appointed by the army to live there, who has not only evidenced paranormal activates but seen bone cracking figures. The mother of one of the caretakers, Arvind, has also seen women in redress. 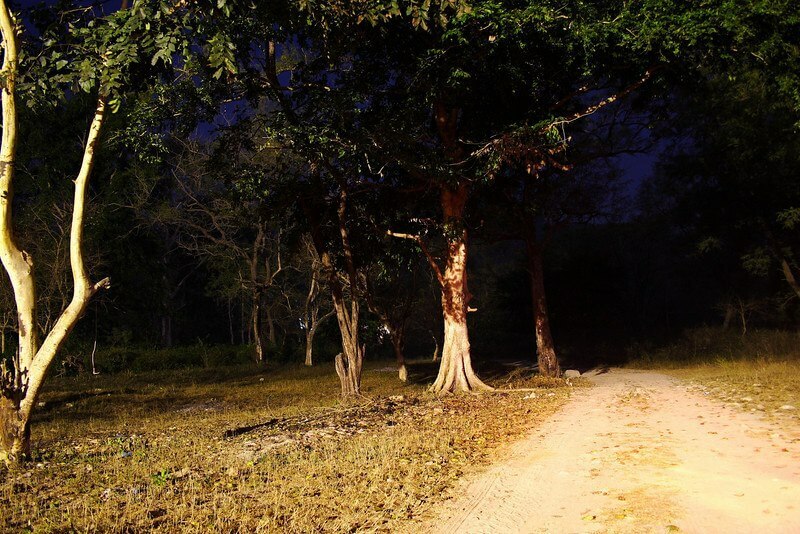 The location is considered to be abnormally silent and dark. These five to six mysterious figures are never visible during the day hours. These men are apparently considered to be the harmless ghost and the force around the house is also not that strong. The Delhi Cantonment comes 3rd on our list due to the number of documented victims, evidence and legit warnings passed. Not far away from the urbanization, with city lights, good infrastructure this location certainly doesn’t look haunted, but it is haunted. How? There are 100s of people who have encountered this fearful ghost of which 10-15 died. This location doesn’t only have a paranormal force you can feel, it rather has a visible moving talking spirit roaming around. This phantom is of a woman, who is seen in a white saree, asking for lifts from moving cars. This is a deadly ghost which fools around the moving cars. When she asks for a lift and a driver stops, the driver is never to come back home alive. If the driver decides not to stop, the spirit supposedly chaises the moving speedy car competing it with a similar speed, often the ghost vanishes and reappears from the other side to create a shock, sometimes jumps on the car roof which causes accidents. If someone stops the car by themselves and ask for direction, they apparently cannot find their way back home throughout the night, keeps on roaming around on the same route. Legend 1- The spirit is claimed to be a woman who was looking for a lift, desolately the car which stopped for help was not an actual help. The car which gave the lady a lift was probably a vicious monster, who raped her inside the car and threw her body somewhere, and no passing stooped by to help her ever after noticing her body, and eventually she died helplessly. Since then this spirit has been roaming around to take revenge, so who even stops for help is compared to that vicious man and is victimized forever. Whoever doesn’t stop is considered to be the passing cars which never stopped to help. Legend 2- The lady is assumed to a betrayed woman, who was cheated on by her husband, who was an army person. She is presumed to live in the cantonment. But when she caught her husband cheating on her, she lost her senses, killed her husband, and both of her children. Afterward she ran into a moving car and committed suicide. She was pretty much of a lost soul, therefore who ever asks for direction are lost. This energy is very illusion but existing. A rushing energy which can be compared to a kinetic energy which comes in action when it gains speed, but eventually stops when it speeds down or doesn’t have a running force. Kuldhara is located 20 kilometers away from the deserted town of Rajasthan called Jaisalmer Kuldhara has been deserted for over 200 years now. It is claimed to be a cursed town. Kuldhara is currently sustained by the Archaeological Survey of India as a heritage site. The location is truly cursed as it is an infertile land, whereas cultivation is available few miles away. 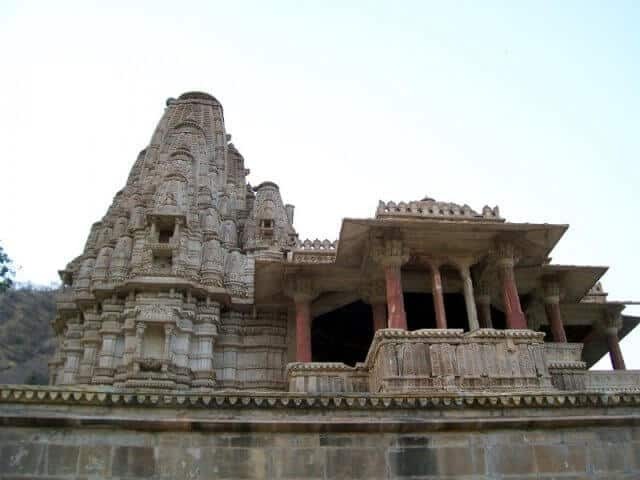 Legend 1- This occurred during the supremacy of Salim Singh, the Diwan of Jaisalmer, who was notorious for his corruption and immoral tax implementation methods. Salim had his distorted gaze on the village chief‘s beautiful daughter. The Diwan went crazy over the beautiful girl and warned the villagers not to come in-between or he would implement further taxes. The terror of the Diwan was spreading across the village; they could no longer tolerate him. So the inhabitants of the entire community escaped the town on a dark night. The town was left abandoned. Kuldhara was cast off by his own kingdom. No one evidenced the Paliwals leaving the town, they vanished mysteriously. The Paliwals were never found again.This left the city cursed the Diwan died alone in grief. 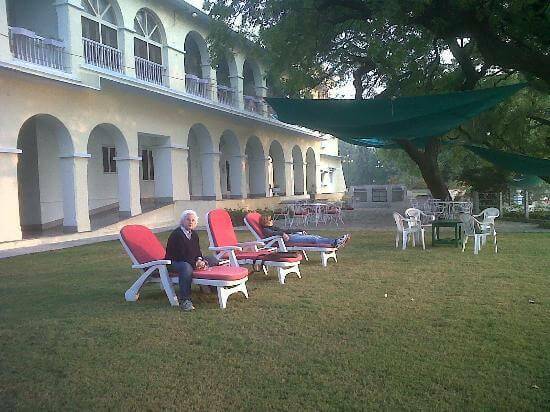 Some say it is the lonely ghost f the diwan and the departure of the people which left the place haunted. Legend 2 – It is said that during the time of King Plai a community of 84 people moved in Kuldhara, and they were named Paliwals since then. The Paliwals were Bhramins who lived with integrity. The Mughals tried to invade their land for years but they kept on resisting them, until the 18th century. A war went on for days, then the Mughals are blamed of putting wild deadly reptiles in Kuldhara’s well which was the only water supply of the Paliwals. 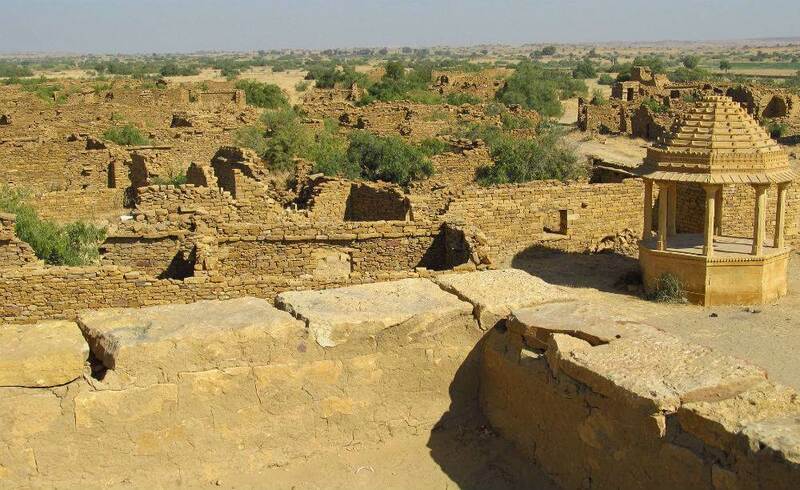 So, the Paliwals fled from the location leaving behind a curse, which caused severe death, whoever tired living in Kuldhara died and their spirits were trapped into the town because of the curse. The myterious death occurred at the place. 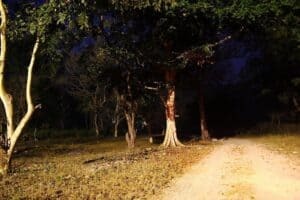 The 18 member of Delhi’s Paranormal along with 10 to 12 normal people, led by Gaurav Tiwari dared to spend a night there for a survey. Shadows were encountered. One of the members felt being patted from behind when he turned around there was no one. They tried interacting with the ghost with an equipment known as ‘Ghost Box’. There was a sudden change in temperature too. Even on a regular sunny day, the desert is considered to have a seeming low temperature, which is quite absurd. There were mysterious deaths at the location, shadows were seen, a voice of an old man was often heard screaming. 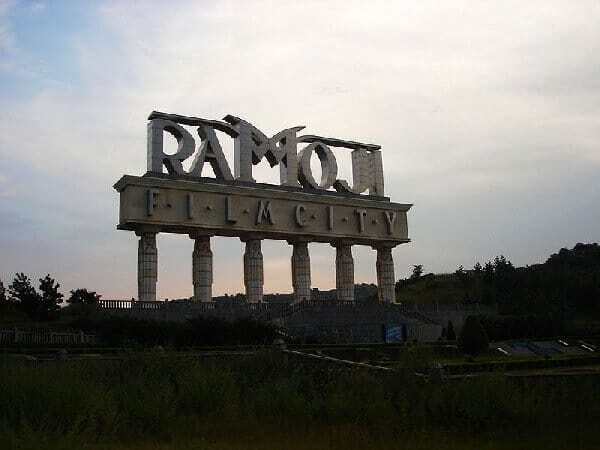 Ramoji Film City is one of the India’s biggest film cities located in Hyderabad. The film city is built in a war ground, where the Nizams fought. The location is haunted by the spirits of the dead soldiers. Lights have often fell apart on their own, the light men felt something pushing them downwards. The light men have complained of working there with maximum risk. A Tamil actress has also evidenced a mirror image of a distorted figure in Churidar. She fainted immediately with a panic attack. Many of the rooms are locked at the film city because of such incidents; Urdu writings are scratched on the walls as the Nizams spoke Urdu. Women are recorded to be much more victimized than men. They often find their clothes torn while in the dressing room. The Bri Raj Bhabvan palace is a 178-year-old Palace owned by the royal family of Kota in Rajasthan. It was transformed into a heritage spot during the 1980s. has a resident ghost, namely that of Major Burton, who, while serving as the British Resident to Kota, was killed by Indian sepoys during the 1857 Mutiny. Major Burton, an allocated British resident was murdered by the sepoys (rebels) along with his two sons in the central hall of the palace. The spirit of Major Burton was often seen in the palace.The former maharani of Kota has reported to a British journalists during early 1980 that she evidenced the ghost of Major Burton commonly, in her living room where Major Burton was killed. The spirit of Major Burton is believed to be harmless, only at times he slaps guards who fell asleep during their duty period. Shaniwar Wada Fort is located on Baji Rao Road near Abhivnav Kala Mandir in Pune. 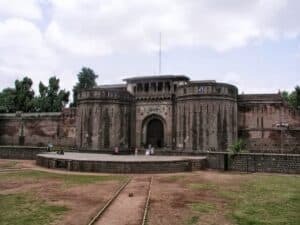 After the death of Peshwa NanaShaheb three of his sons were left to rule, Vishwasrao, Madhavrao died during the third Panipath war, and 16 years old Narayanrao was left to rule, and his uncle took charges on his behave. On a full moon night the rival Sumner Singh Gradi sent assassins to murder Narayanrao. When Narayanrao saw the assassins he sense danger and started running asking for help, he screamed, “Uncle save me!” but the assassins got a hold of him and slaughtered him immediately and drowned his body into the river. Besides a strange fire broke during 1928 which left was n continuously for 7 days leaving the fort mostly destroyed, the source of the fire is still not found. 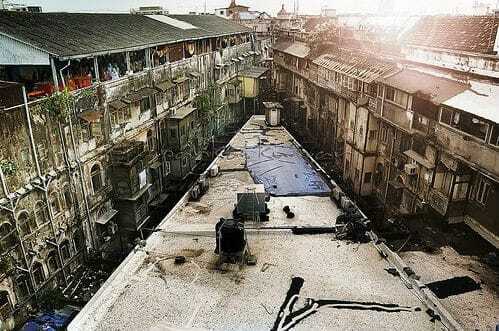 The D’souza Chawl is located in a calm Mahim area of Mumbai. The location has a well that is stated to be haunted. According to the legends a woman fell into the well and drowned to death, while filling water in a bucket. Since then, the locals allege to spot ghostly specter of a woman near the well at night. The spirit of the woman is claimed to be harmless. Dumas Beach is a beach located near Surat in Gujarat. The beach has been used for several burial over the decades. There were paranormal surveys done on the place, sense of rushing energies was captured in the devices. People who spent the night on the beach claimed of hearing whispers although there were no people at the location. 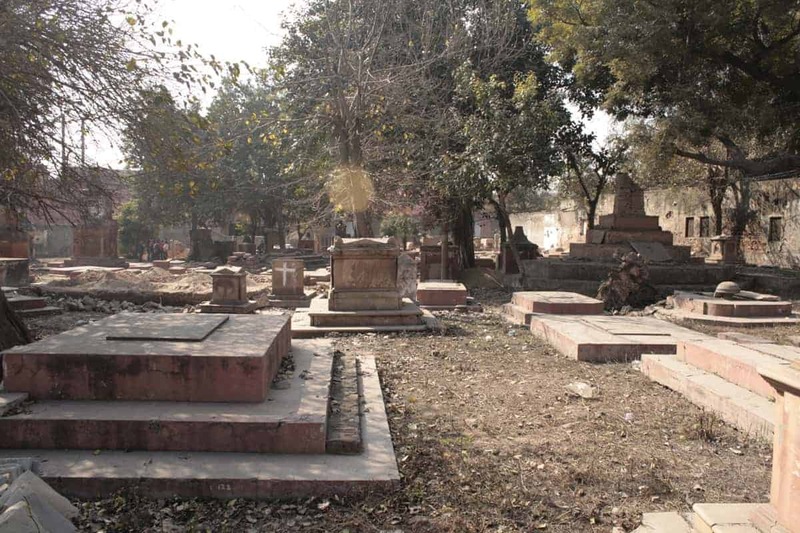 Lothian cemetery is one of Delhi’s oldest cemeteries. Lots of solders during 1747 were also buried there. This cemetery is mostly filled with British deceased. There were many spirits observed at the location and the most famous of them was the headless ghost. This specific spirit is believed to be of Nicholas Nicholson a British soldier. He was a young soldier who was betrayed by his lover who was an Indian woman. The woman is assumed to be a rebellion herself who trapped him into a love trap and then blew off his head. Nicholas Nicholson is a harmless ghost who sorrowfully roams around the cemetery carrying his head in his hands. There also a ghost of a child seen, who continuously looking for his parents.